Following the collapse of Germany at the end of the Great War, Poland foundf herself independent, a most unusual position for that sad country. It was November, 1918; Marshal Pilsudski was commander of Polish forces and Prime Minster of Poland. He saw Russia as the principal opponent of Polish independence, and as a soldier recognised Russia’s weaknesses as a result of the Great War. In a moment of insanity, he thought there was an opportunity to recover Polish territory lost to Russia during the partitions of the 18th century. To the great surprise of the world’s newspapers, and the annoyance of Russia, Pilsudski launched a surprise attack on the Ukraine. The Ukrainians, astonished, provided little resistance and the Poles occupied Kiev. But then the Red Army got itself together and counter-attacked, forcing the Poles back to their own frontier. Among the Soviet leaders only Trotsky wanted to let sleeping dogs lie, but Lenin, true to form, decided to invade Poland, with two objects in mind; first, to occupy Poland, and second, to start a proletarian revolution there too. It did not work, for the presence of Russian troops in Poland roused Polish nationalism, and the vast Red Army was halted by the dogged Poles before it reached Warsaw. Not only halted but pushed backwards. Luckily peace was signed by both parties at Riga in Latvia in 1921. The Polish/Russian frontier was fixed far to the east of what was called the Curzon Line. This must be explained: in December of 1919 the British proposed confirmation of Poland’s eastern frontier, left undecided at the Peace of Versailles. British Foreign Secertary Lord Curzon tried, through his ‘Curzon Line’ to divide Catholic Poles from Orthodox Ukrainians and White Russians. Note that the Poles rejected the proposal and as a result of the Russo-Polish War obtained a frontier well to the east of the suggsted Curzon Line. 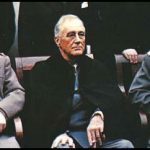 In 1939 it became, however, the boundary between German and Soviet areas of occupied Poland, after the treacherous Nazi-Soviet Pact was signed by Stalin and Hitler. But in 1945 it became the actual boundary between Poland and the USSR and has remained so. The result of the Polish non-acceptance of the Curzon Line left Poland with six million Ukrainians and White Russians in territory which Soviet Russia eventually considered its own. This was very bad news for the White Russians, at the time, but the boundary was lost in 1941 after the German invasion, and regained again as part of the USSR after 1945. 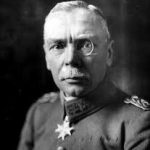 Share the post "The Russo-Polish War of 1929"
Great War Commanders: Hans von Seeckt: who?